Pi Day at the Library! 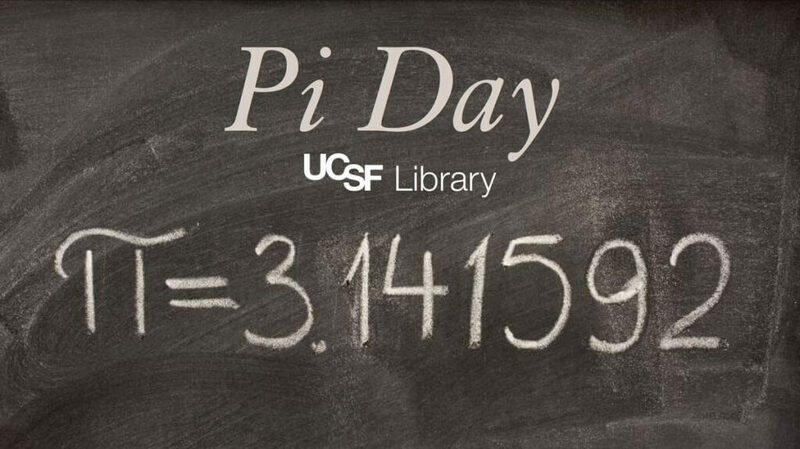 The UCSF Library’s Data Science Initiative and the Makers Lab partnered to celebrate Pi Day on March 14 with the UCSF community. The 90-minute event showcased how the Python programming language and the Raspberry Pi computer can be used to collect and visualize data for UCSF research. Over 20 people from all across UCSF gathered in the Makers Lab and got right to work collecting temperature data. We used the Raspberry Pi’s internal temperature sensor for the demo, but there are a number of other sensors that can be used with the Raspberry Pi to collect data. UCSF Library Developer, Geoff Boushey, led the demo as he guided both beginner and advanced Python users (and everything in between) through the activity. Once everyone finished writing the Python code and began to collect the temperature data, we took a blow dryer to the Raspberry Pi to track the extreme temperature changes in Matplotlib. The event concluded with pizza (pie), apple pie, and human pi calculator contest. Dr. Leslie Wu was the winner of the Pi contest after reciting 23 digits and took home a brand new Raspberry Pi kit as a prize! We look forward to hosting annual Pi Days at the Library and continuing to use open source hardware and software to collect and visualize data. Want to learn more about Python and R programming training and resources? Contact the Data Science Initiative. Want to check out a Raspberry Pi or explore other maker-related equipment? Contact the Makers Lab. Thank you to everyone who attended the Pi Day event and we look forward to seeing you in the Library soon! Dylan Romero is the Makers Lab Manager at the UCSF Library. Contact Dylan with general questions about the Makers Lab, curriculum integration, group events, and emerging technologies.